As a burgeoning breeder, hybrids and polyhybrids make the most sense to me - After all, my primary goal is unique and wonderful herb. Perhaps I'll start looking more in to line breeding once I do find that super uniquely wonderful pheno, but for now finding and keeping great mommas works well for me. A quick question along that same line, though - If I were to find a great polyhybrid pheno, would crossing it to a different and unrelated polyhybrid male result in the uniformity and vigor you typically see with F1 hybrid (IBL x IBL) crosses? I only ask because I think that would be a great way to lock in the valuable traits you've found in that random polyhybrid - Just test it against various males until you find one that hybridizes with it in such a way that it maintains the desirable qualities of the mother. Then, produce a whooole bunch o' seeds. Not only would these seeds make a great reservoir of the traits you desire, they'd also make great stock to begin a line breeding project - Wouldn't they? In my experience the answer to your question is definitely yes. However not all hybrid crosses result in hybrid vigor. Many result in hybrid depression. The key is in finding a good hybrid cross. The same is true whether you are outcrossing 2 IBLs or 2 polyhybrids, or even a polyhybrid to an IBL. Check out the link in my signature, it addresses your question in great detail. The vigor is dependent on individual pairings and could go either way agreed, but I would respectfully disagree with Joshuahazen here, surely using a pair of unknown, unrelated polyhybrid parents will produce the opposite of the uniformity of a true F1, you will produce any number of phenotypes which may suit your search for unique mothers but nowhere near uniform. have you noticed any similarities between the plants that don't provide hybrid vigor? This kind of relates to a question i have, if you cross 2 plants how do you know what generation the parents are from and then what would that make the offspring? Well it is hard to tell, Frequently my hunches are right and sometimes they aren't. I have noticed that unrelated plants that seem to be similar in appearance to one another, often cross well. And sometimes plants that are totally different will cross really well. It is just trial and error, keep your fingers crossed. Sometimes its a hit, and sometimes it isn't. Out of around 15 crosses I did with Nl5Hz, only 2 were really good. They blew all the others away. Nobody said anything about unknown, presumably if one is breeding a plant, it is known, whether a polyhybrid or not, if not by its pedigree, then at least by its performance. Unrelated Polyhybrids are an outcross by definition. A true outcross is generally referred to as an F1 cross in breeding. Uniformity is a relative term. Lets take a stable hybrid cross like Northern Lights #5X HazeC for example: This is an IBL crossed to an extreme polyhybrid. Now that was a stable uniform cross. The F1 will always appear at least somewhat uniform when compared to its F2 progeny. Many MNS F1 crosses are extreme polyhybrids on both sides(ie La nina and Mango Widow), and many of these crosses may throw diverse phenos, however as diverse as these F1 phenos may appear to be, I can assure you, that when compared to their F2 progeny, they will be quite uniform. Last edited by joshuahazen; 04-21-2011 at 05:09 AM. I think hybrid vigour occurs a lot less these days due to the fact that a lot of strains have a common parent some where in the breeding. In the old days we saw it more often because we were crossing pure Sativas with pure Indicas. I had the impression beta is at the start of his project, I don't see any reference to any known/tested parents, quite the opposite really. I only ask because I think that would be a great way to lock in the valuable traits you've found in that random polyhybrid - Just test it against various males until you find one that hybridizes with it in such a way that it maintains the desirable qualities of the mother. "If I were to find a great polyhybrid pheno, would crossing it to a different and unrelated polyhybrid male result in the uniformity and vigor you typically see with F1 hybrid (IBL x IBL) crosses? To which the short answer is no, far from it. If I were to find a great polyhybrid pheno, would crossing it to a different and unrelated polyhybrid male result in the uniformity and vigor you typically see with F1 hybrid (IBL x IBL) crosses? I would expect you would get the vigor but the uniformity would be dependent on the individual parents. 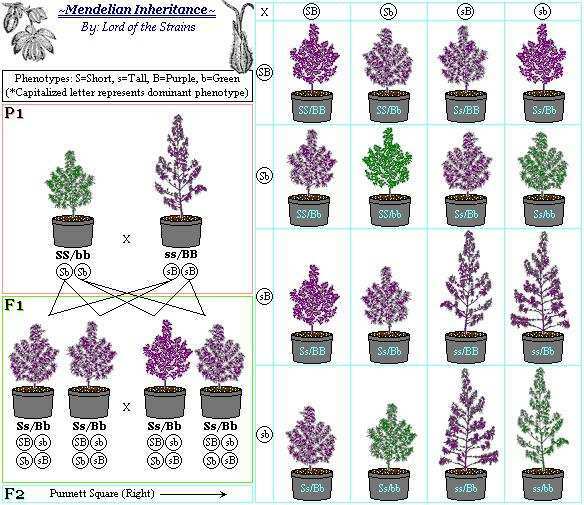 In F1 hybrids, uniformity stems from both parents being stable/true breeding - in this case, no matter which individual plants combine the genetic combinations are extremely similar. Two separate poly-hybrid plants could be stabilized to the point where they could be combined to produce uniform progeny with the right breeding. If however, you are simply asking do 2 different/random poly-hybrid plants combine to produce uniform F1 progency, the answer is that it's close to impossible. Well, that's my take on it anyway. Ok, I see what you are saying. I agree with you, Generally, that you will get more uniformity from an F1 cross between 2 unrelated IBLs then you will from an F1 cross between unrelated polyhybrids; that is certain. But as far as vigor is concerned, that depends on the cross. The most vigorous plants I have ever seen came from an F1 cross between polyhybrids. He said "If I find a great polyhybrid pheno" I am assuming that if he knows its great, its because he has in fact tested it. Last edited by pepel29; 04-24-2011 at 07:41 AM. This makes sense to me. Thanks Kanga. If you're only looking at a couple of traits to be combined these charts are OK but, IMHO, they over simplify the entire peocess. Look at a chart that has several characteristics that are being searched for a personal "Holy Grail". Look at a chart that has included in it, Height, Branching, Flavor, Potency, Aroma & Medicinal effect. Every aspect that is being scrutinized will exponentially increase the amount of "phenotypes" that will be observed. I don't wanna discourage anybody from making seeds either. I wanna emphasize the amount of variation a person should realistically expect from a batch of seeds. Bit of advice is to work towards one goal at a time. Only select towards or away from a trait and leave the pool as open as possible while meeting your goal. When you're trying to get the Tall, thin, purple, heady stuff all in one swoop you'll find it near impossible. I got a good laugh from the let's bring back the Neanderthal post by Brock1. I really liked the post that quoted the aricle from Shanti and his inbreeding program and that is the type of thing we need more of in this thread along with more of Nevil's experience. Can we try to spread some more information on the simpler aspects of breeding that will be more useful to the small time breeder who isn't trying to be responsible for saving the world's gene pool. For example, say I have a really good clone which I think is almost perfect but maybe the growth structure and yield could be improved. I would also like to make this into an IBL so that the genetics will be stabilized so that it will be easier to reproduce from storage from seed and to use in breeding in the future. Since it is a clone only hybrid I must find a male from another source. Would it be better to use an IBL to find a male if I want to eventually make this into a line that will make consistent seeds within as few generations as possible. Would the IBL's consistency help me to stabilize my mother genotype? Then exactly who should I cross the F1s to first? To each other first or back to the original mother P1 first? It would seem to me to go back to the mom right away to keep her traits dominant but am I wrong? Exactly how many times should I cross what to what? I guess maybe it depends on what I get from offspring in relation to my goal but I'm not sure exaclty which backcrosses will be more detrimental when trying to avoid inbreeding depression. I can read from the article from Shanti on inbreeding the way he likes to do it but I am sure there are other methods and simple rules to follow.